Redesigned for longer life our chucks use superior ceramic materials. Flatness equal to, and in many cases exceeding, the OEM product. We can re-design a chuck for you based on a worn-out sample from the OEM. 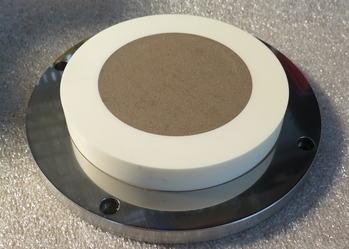 We produce a wide variety of ceramic in ceramic chucks in all sizes for a full range of grinding and lapping equipment. Please contact SVR to talk about your requirements. 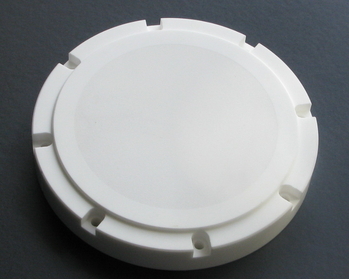 Metal base with solid ceramic pellet and porous ceramic insert.